According to the Korean media, The Bell, Samsung's Vice Chairman, Jay Lee, is looking to merge the mainstream Galaxy S flagship lineup and the S Pen-carrying Galaxy Note family. There are several reasons why this sounds logical. Firstly, the Chinese vendors are taking a massive chunk of Samsung's market share in the low-end and mid-range segment while users looking for flagship models frown at the ever-rising prices. Secondly, since last year, a good part of the community struggles to find any compelling reason to jump on the Note8 instead of settling for the Galaxy S8+. We are going to see the same thing happening this year with the Note9 and the S9+ if the former turns out to be as closely positioned to its sibling as its predecessor. Reportedly, Samsung realizes this and has set a goal of just 12 million sales for the Note9 - a minor improvement over the 11 million of Galaxy Note8. And lastly, this seems to be in line with the earlier reports of Samsung launching not two but three Galaxy S10 variants and the S10+ carrying a bigger display. 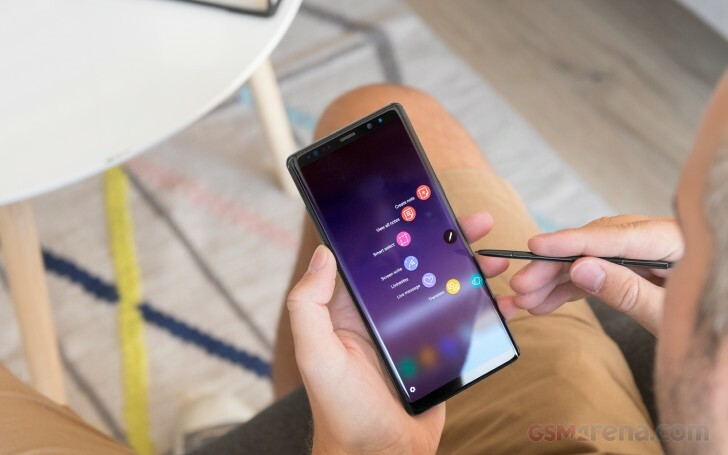 So if Samsung decides to go down that path, we can expect the Galaxy S10+ to come with the most iconic Note feature - the S Pen. That means that users looking for the classic Galaxy S10 flagship experience will go for the regular S10, those wanting to save a few bucks will choose the budget S10 and Note users will get the big S10+. This decision will lead to significant money savings on development, designing and manufacturing. Streamlining its flagship lineup will also make room for the upcoming flexible display Galaxy X, which might be positioned as the most premium option. So instead of designing 3 phones, their money saving plan is to ...design 3 phones?